Ibn Zahr, Saudi European Petrochemical Company (an affiliate of Saudi Basic Industries Corporation - SABIC) has signed a letter of intent with Aker Kvaerner for the provision of program management services and basic engineering services, for its Ibn Zahr Polypropylene III project, located at its existing site in Al-Jubail, Kingdom of Saudi Arabia. The total contract value to Aker Kvaerner was not disclosed. Aker Kvaerner's project scope, which commences immediately, includes program management services and basic engineering services for the Polypropylene (PP) expansion and the associated OSBL utilities and offsite facilities. A new polypropylene line will be built with a capacity of 500,000 tonnes per annum (tpa), nearly doubling its current capacity. "With the world's largest polyolefin market now in Asia, this expansion project will support our strategic focus towards meeting the growing demand in that region. The additional capacity is expected to come on stream in the second quarter of 2008," says Sami Al-Suwaigh, President of Ibn Zahr Saudi European Petrochemical Company. "Aker Kvaerner's significant project experience and committed resources In-Kingdom provide the necessary capabilities to ensure successful project delivery," says Wim van der Zande, president of AK Process, Aker Kvaerner's European Process Business. 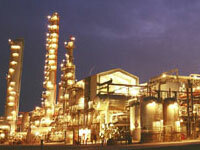 The plant will make use of Dow's UNIPOL(TM) polypropylene technology. Last month SABIC affiliate YANBU National Petrochemical Company (YANSAB) also selected Aker Kvaerner for the engineering, procurement and construction of its world-scale polyolefins complex in Yanbu. The project is being executed on a joint venture basis with China Petrochemical Corporation (SINOPEC Group). Aker Kvaerner currently has a significant involvement in-Kingdom through the Butanediol (BDO) project that is being executed for GACIC (Gulf Advanced Chemical Industries Company). This 75,000 tonnes per annum facility is currently in the advanced stages of construction at Al Jubail, with five million field man-hours worked without a lost time incident. Plant start-up is scheduled for fourth quarter, 2005.